WWDC made the headlines yesterday but while iOS 9 might be the next big thing, Apple is already planning for the next few years behind closed curtains, starting with brick, mortar and cables, lots of them. The company is rumoured to be ramping up its investment in its data centres and plans to build a "high-speed" content delivery network to sustain the expected surge in demand for its own services. The push, according to a report by Bloomberg, aims to help Apple catch up with competitors such as Microsoft, Google and Amazon in the cloud services market. Apple pledged to invest £1.25 billion (about $2 billion, AU$ 2.5 billion) in two European data centres earlier this year but this appears to have only been the beginning. Owning entire ecosystems one brick at time has been central to Apple's success for more than a decade now. It started with the operating system and the hardware, before moving to services and smartphones. 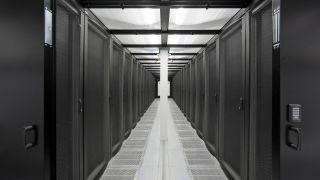 Infrastructure is the next logical step as Bloomberg's sources also mentioned that the company wants to own the data pipes that connect its existing US-based data centres in a bid to increase the amount of traffic they can handle. Apple is also likely to emulate Facebook – who pioneered the Open Compute Project – by designing its own hardware just like it did for its consumer-facing tablets. The company canned its Xserve server range years ago but with the largest cash reserve owned by a private company and an impressive list of IP, expect Apple to become more aggressive.